For his contribution to Indian cinema, the Superstar has won the 5th Thikkurissi Sukumaran Nair Memorial National Award. 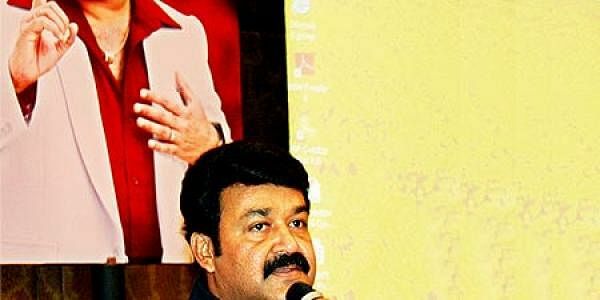 THIRUVANANTHAPURAM: Actor Mohanlal has bagged the fifth Thikkurissi Sukumaran Nair Memorial National Award for his contributions to Indian cinema. The fifth visual media and Theatre Awards were also declared at a press meet, convened by members of Thikkurissi Foundation, here on Tuesday. Nedumudi Venu and Rasaana&nbsp; won the best actor and actress awards for their performance in the serial Kunjalimarikkar and Parijatham respectively. ‘Kunjalimaraikkar’ (Asianet) and ‘Vasantathinte Kanal Vazhikal’ (Kairali) shared the award for the best serial. Vayalar Ramankutty has won the best director award for the serials ‘Sree Guruvayoorappan’ (Surya) and Kunjalimaraikar (Asianet). Krishnan Nair and Prajusha have won the awards for best supporting actor and actress for their performance in ‘Narmudipudava’ and ‘Syamambaram’ respectively. Subitha Sukumar of Jeevan TV has bagged the best news reader award and&nbsp; B T Anilkumar of Amrita Television bagged the best news reporter award. Asianet News was declared the best news channel. S Lallu of Asianet won the best investigative reporter for his report on spurious liquor. R Jayachandran(ACV) has been declared the best presenter. R Sreejtth (Indiavision )and Ajith CR (ACV) share the award for best news cameraman. Kairali TV’s ‘Jeevanam’ and ‘Kalikudukka’&nbsp; won the best&nbsp; health and educational programme and children’s programme respectively. Meenambalam Santhosh won the Thikkurissi Foundation award for best director in the theatre award category. Neyyattinkara Sanal has been declared the best actor and Sreeja M K of Sankakeli declared the best actress. ‘Amma Malayalam’ (Thiruvananthapuram Samskrithi) bagged the award for the best drama and Kodumon Gopalakrishnan won the best amateur drama artist award. ‘Snehatheerangalku Vishadaraagam’, written by Madikai Ramachandran was declared the best novel. ‘Uyaram’, written by Madavoor Radhakrishnan and Nivedyam by Sreedeviamma shared the best poetry award. ‘Hridayapoorvam’, by Ravikeshavan and ‘Anadha Mandalam’ by Mayyanadu Rafi won the award for screenplay. ‘Camera kondoru kalapam’ of V K Sudheesh Kumar (Deshabhimani) was selected as the best article. ‘Kaamam, Krodham, Moham’ of Rajeev Gopalakrishnan won the best book on cinema. The award for book on drama went to 1921(Vijayan Palazhi). Saubhagyaratnangal’ (R Sanjeevkumar) won award for encyclopedic literature. Master Of&nbsp; Astrology Award went to Padanilam Gopalakrishnan and Raastha Wayanadu won the award for best social organisation. ‘Blackboard’, ‘Gravity’ and ‘King Chamber’ Little hearts won the special jury award for animation section. Sangeetharatna award went to Parasala B Ponnamal and Vidyakulapati award went to Mattanoor Sankarankutty. The foundation decided to give honorary membership to Gokulam Gopalan, producer of the film ‘Pazhassi Raja’. A jury comprising Chunakkara Ramankutty as chairman and Dr Indrababu and Rajasrikumar Varma as members selected the winners.